The model, shape, and sound quality of this guitar are very good. 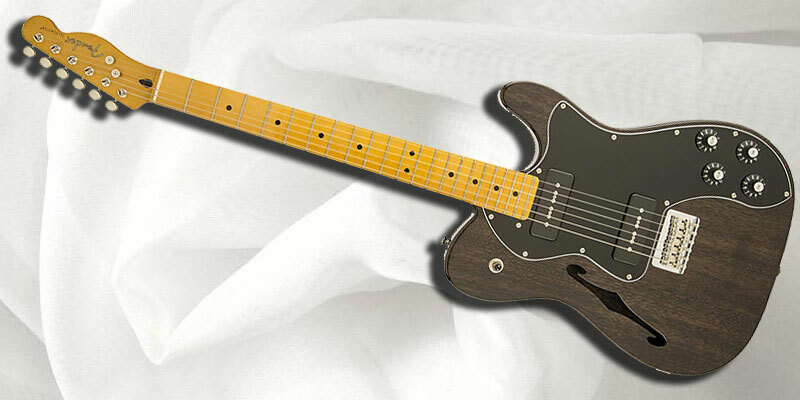 Telecaster Thinline Deluxe belongs to the Fender Modern player series. It offers excellent playability and versatility. The critics and the users appreciate this. However, Fender sells the case separately from the guitar. Many players were rather disappointed with this fact. In general, this is a very good value for the price. If you opt for a guitar with the “Tele” touch, this is the way to go. Finally, the lucky owners of this guitar will certainly enjoy a wide range of both light and heavy sounds. They will enhance their playing skills due to a superb playability. As a result, we can say only one thing in the end. Well done, Fender! We definitely love this guitar model from the Modern Player series. This guitar is based on the Tele-philosophy. It has absolutely everything one can expect from a Fender. It carries its recognizable sparkle. This model is lightweight and convenient. First of all, the most striking feature of this model is its Telecaster body. It is made of mahogany. Besides that, the guitar has a beautiful, gloss polyester finish. Most noteworthy, its greatest asset is a very rich, versatile, and clear sound. There are two MP-90 pickups. Consequently, a player can produce an excellent range of both soft and hard tones. The guitar has an amazing palette. In addition, the sound is definitely brighter than that of a Strat. This is the consequence of the Tele-style neck pickup. In general, this is a very resonant instrument. The player can feel the vibration coming out of the chamber. This is another especially pleasurable experience. Although this model doesn’t have the locking tunes, they remain very stable. A player will not experience any distuning. Furthermore, the guitar has double controls. Both volume and tone 1 have controls on the neck pickup. Similarly, volume and tone 2 have controls on the bridge pickup. Consequently, it is a good idea to use it with a tune-up. This model has skirted amp knobs. The sound can be best described as clear and bright. However, it is warm underneath the main sound layer. Most users will find it perfect for versatility and expressiveness. This guitar has a classic-vintage shape and a hollow body. Its dimensions measure 42 inches length, 5 inches depth (thickness) and 15 inches width. Its shipping weight equals 11 pounds. A 9.5-inch radius is combined with 22 medium jumbo frets. This guarantees player comfort. More skilled players will be especially grateful for these two features. 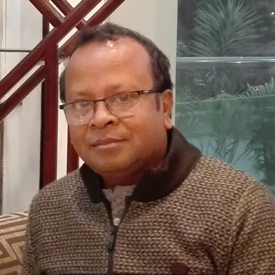 They ensure very good movement maneuver and speed. 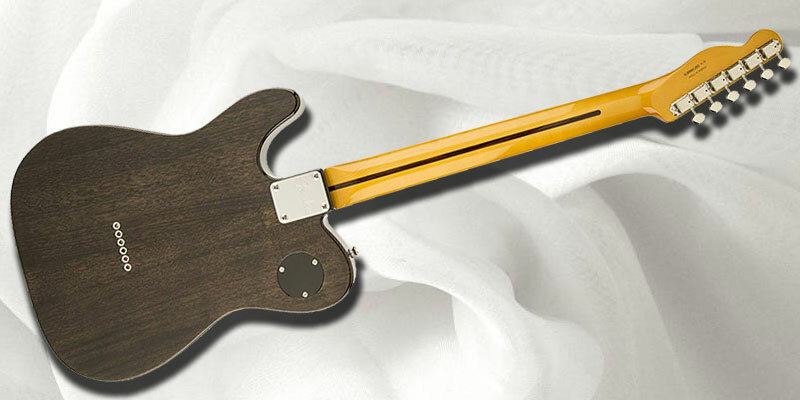 Furthermore, a six-saddle hard-tail bridge is designed for super-easy and precise intonation. Besides that, each individual string can be height-adjusted. 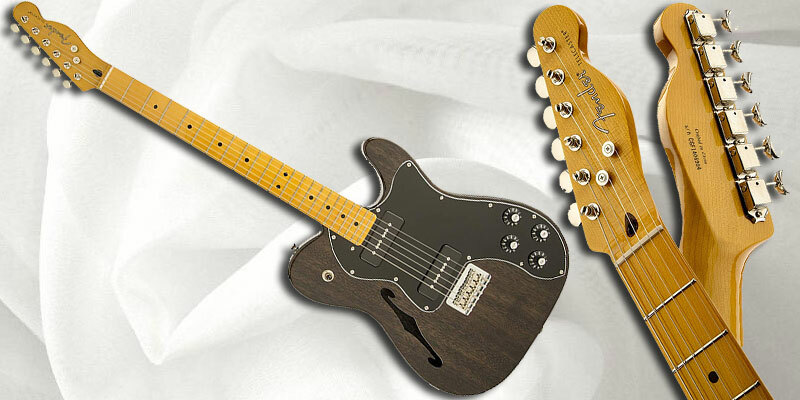 Therefore, Telecaster Thinline Deluxe guitar users rate the playability with 10/10! The versatility of this guitar is also very good. Alike all other genuine Fender models, this guitar is very durable. Similarly, it has excellent workmanship. The finish layer is very classy, yet modern. It is a high-quality polyester finish. It is scratch and wear-resistant. The neck is made of maple and designed in the so-called “C” Shape. The neck finish is very elegant too. The fretboard is also made of maple. Its radius measures 9.5 inches (around 24.1 cm). The scale length measures 25.5 inches, while the nut width equals 1.650 inches. String nut is made of synthetic bone. The hardware of this model is very durable. It is made of high-quality nickel/chrome. The guitar has a three-way toggle pickup switch. Let’s not forget to add that the guitar has a single “F”-hole design on its body. This improves its sound quality and visual appearance. As all guitars with maple fingerboards, this Fender Modern Player model also has a clear sound. Above all, note clarity is very good. These are consequences of technical characteristics of maple. This type of wood is a hard and dense tonewood. As a result, it produces very pleasant, bright tones. As usually, Fender combined this maple fingerboard with a maple neck. Strings that come with this guitar are the 0.009 to 0.042-gauge Fender USA, NPS strings. The producer currently sells this model without a case. However, its shape and size are standard. Therefore, you can find a good case either from Fender or another manufacturer. Price is a very important element when choosing your guitar. This model belongs to the (lower) mid-price range. Whether you will find it expensive or not depends on your skills and aspirations. For a beginner or an amateur, this is a rather pricey guitar. However, a skilled player will definitely find it affordable, especially after getting to know its amazing features. All CV parts of this model are compatible with the original Fender parts. However, the necks and the bodies of different models are, reasonably, not mutually compatible. This guitar is compatible with the leading brands of amplifiers, tune-up and other equipment. Fender is well-known for excellent instruments with superb style. Also, great sound and classic look are its trademarks. Besides that, a somewhat vintage touch is peculiar for this model. Most users value solid performance and affordability. Certainly, the Modern Player series offers several unforgettable models. 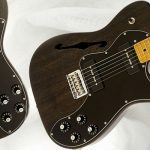 Fender provides great value through variations on the Telecaster theme. 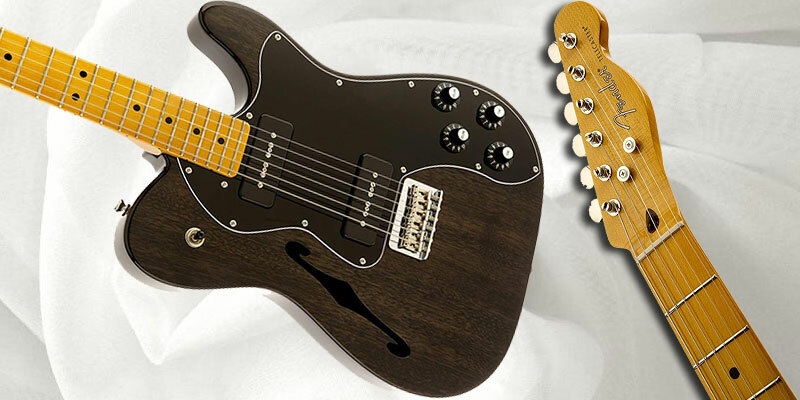 This guitar gives an exciting insight into the possibilities of the classic Telecaster. A maple fretboard enriches its look. “C”-shaped maple neck and 22 medium-jumbo frets ensure excellent playability. Players who love the vintage style will adore this guitar even more, due to the tuners. They are simply lovely and resemble well-known, vintage models. You may also see other Electric Guitars in our site. I’m Sumonta, a passionate Guitar lover. By profession I import and manufacture Guitars. This blog was started by me as a hobby and a platform. Here I will share my knowledge and absolute passion for Guitars. Best Guitar Reviews is a participant in the Amazon Services LLC Associates Program, an affiliate advertising program designed to provide a means for sites to earn advertising fees by advertising and linking to Amazon.com. Get update with the best guitars available in the market.